Youth, Latino mobilization paid off in the midterms. Now groups gear up for 2020. "I am so grateful for the power of young people," said an organizer. Though participation was historic, groups are aiming for building on that turnout. AUSTIN, Texas — Tera Tanguma, 23, moved with the line of voters outside a Fiesta grocery store, passing the time with her nose in her book, "Midnight in the Garden of Good and Evil." Tanguma hadn't gotten around to voting early, but said she was not going to miss the chance to cast a ballot last Tuesday. Plus, the young Latina said, it was meaningful to take part in the voting process on Election Day. Young adults like Tanguma voted in higher numbers than any other midterm elections in the past 25 years, according to a preliminary analysis from the Center for Information and Research on Civic Learning and Engagement (CIRCLE), which studies young Americans’ political engagement. They estimated that 31 percent of eligible young voters ages 18 to 29 turned out to vote this year, better than the past seven midterms. It's particularly noticeable considering that 2014 had the lowest youth turnout rate. "It was exciting to come out and vote this time, for Beto," said Tanguma, referring to Beto O'Rourke, the youthful Texas congressman who failed in his bid to unseat Republican incumbent Sen. Ted Cruz, yet rallied many in the state with his social media videos, Whataburger meal stops and his grassroots, no-corporate-PAC-contributions campaign. By doing so, they may have changed the narrative on their voting behavior as an electorate that was largely missing at the polls to one that is a growing force that might swing the country in a progressive, more liberal direction. Rallying voters to the polls is especially significant for Latinos, who are such a young demographic. An NBC News exit poll found one in four Latino voters said they cast a midterm ballot for the first time this year. A recent Pew Research Trends post stated that although it's too soon to know Hispanic voting numbers and turnout rate, "Latinos made up an estimated 11 percent of all voters nationwide on Election Day, nearly matching their share of the U.S. eligible voter population." Ahead of the elections, groups worked to rally young Hispanic voters, and they saw the difference. “A lot of times we hear cranky people say ‘Oh, they don’t (vote),’ but for a lot of them, this is their first time voting," said Sarah Audelo, executive director for Alliance for Youth Action, a nationwide network of local organizations that seeks to increase civic engagement among young people. Audelo had said before elections that the alliance sent groups in the network $1 million to help them organize young people around issues that were most important in their state. In Pennsylvania, organizations mobilized young people around a campaign for free college tuition. In Ohio, the issue was criminal justice reform. In Montana, it was the use of public lands, and in Florida, private prisons. Groups in the network such as Chicago Votes started an initiative during the primaries called Parade to the Polls where large groups of young people go together to vote and sometimes provide one another transportation. Other creative methods used to amp youth registration included MOVE Texas’ poll parties in San Antonio and Forward Montana’s so-called vote goats, where organizers brought goats to voter information and registration tables — as young people petted the animals, they also got information about the upcoming elections. Other organizations used tools such as social media, texting, town halls, campus pop-ups and more to make sure that millennials and young people in Gen Z, the generation after millennials, showed up on Election Day. Move Texas helped students fight to extend early voting on the campus of Texas State University in San Marcos and to get a polling site on campus. "I am so grateful for the power of young people," Drew Galloway, executive director of Move Texas and a millennial, after officials extended the voting and added the poll. 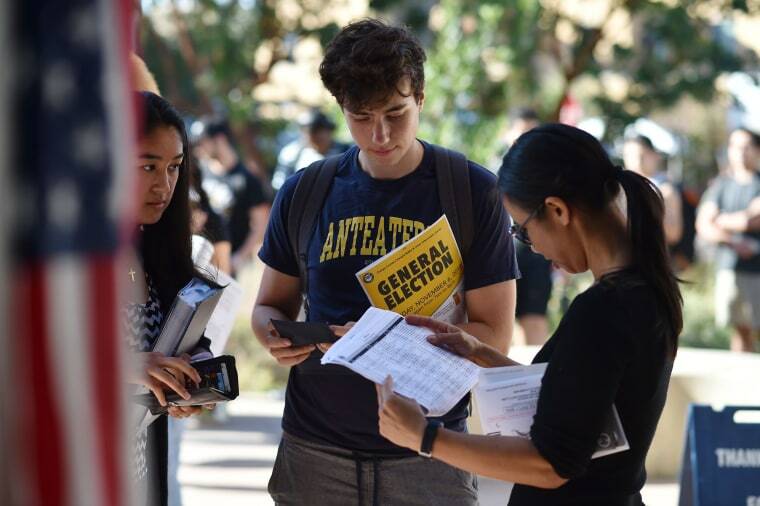 Early voting data in Texas showed that voting by 18- to 29-year-olds rose 500 percent over 2014 and that the age group's votes made up 11.5 percent of all early votes, up from 5 percent in 2014, said Kathy Miller of the Texas Freedom Network, which focused on voters under 30 through a program called Texas Rising, that included Battleground Texas and Move Texas. Reaching young people and turning them out required ingenuity and unique programs, Miller said. Traditional door knocking doesn’t work because they often are living in dorms or apartments and they move every two years. “We used the one thing that never changes for millennials and the Gen Z and that is they always have their cellphone and that number stays with them for life,” Miller said. Voto Latino has been using digital and cellphone strategies and Latino celebrities to reach young Latino voters since it began in 2004. This year it reached out to young voters through its “Somos Más (Together We are More) campaign and used several celebrities including America Ferrera, Wilmer Valderrama, Nick Gonzalez and Alicia Keys. Voto Latino registered 202,339 young voters for 2018. Maria Teresa Kumar, the founding president, said the group’s 58,000 registrations in Texas were 15 percent of all registrations. UnidosUS (formerly National Council of La Raza) registered and young Latinos, particularly in Florida, in its “Power of 18” campaign. Their campaigns and others targeting young Latinos are key to increasing youth voting because about 1 million Latinos are turning 18 each year. African-American youths have done better than other groups in voting, surpassing white voters in 2014. Early estimates are that some 2.3 million black 18- to 29-year-olds voted this year, up from about 1.67 in 2014. Rashad Robinson, Color of Change PAC spokesman, said the group's political action committee used a new approach to black organizing — black joy. He said the group held brunches, parties, massive text-a-thons and a massive training and canvassing operation. The organization focused on young voters who were a disproportionately large percentage of voters reached by Color of Change. He said the group had 14,335 members participate in a volunteer event this cycle and volunteers made 2.4 million voter contacts. They contacted about 1.1 million voters at their doors, with the single largest demographic being young and millennial voters. "They responded because we met them where they were, with authentic communications, online and off, from people in their community who clearly respect their voice and want them engaged in politics long term, not just for this one Election Day," Robinson told NBC News. More accurate numbers on turnout for all groups will be available when the Census releases detailed data months from now. This election not only had more young people at the ballot box, but many were energized by the young candidates on the ballot. Alexandria Ocasio-Cortez, 29, of Puerto Rican descent, is due to be the youngest member of Congress after her New York congressional district win last Tuesday. Ammar Campa-Najjar, also 29 and of Mexican and Palestinian heritage, turned an upstart congressional campaign — that did not get party endorsement — into a nail-biter against indicted Republican Rep. Duncan Hunter in California. Hunter ultimately was declared the winner by NBC News. 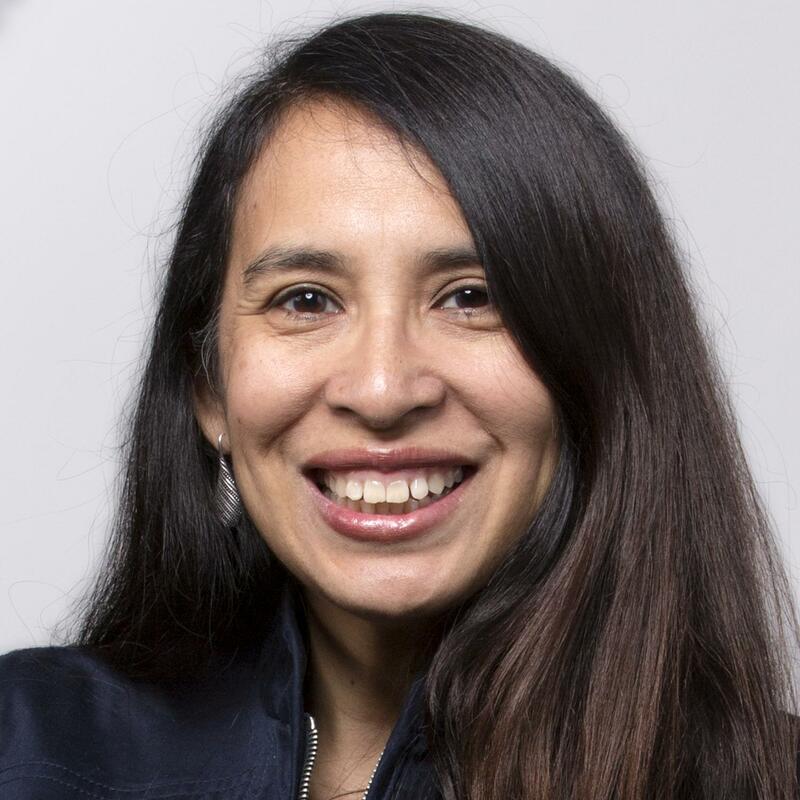 In Texas, 27-year-old political neophyte Lina Hidalgo won her race for Harris County judge — the top executive of the county that is the third populous in the country and home to Houston. “I stepped up to run, but they (young voters) figured out the future is now and they led everyone else forward and I’m proud and hope this year is remembered as the year that people who never participated before voted and volunteered,” Hidalgo told NBC News. Democratic candidates appear to have benefited most from young voters. NBC News' exit poll shows 68 percent of youth voted for a House Democratic candidates while 31 percent voted Republican. The 37-point gap helped Democrats achieve a majority to take control of the House when it convenes a new session in January. In the hotly contested Texas Senate race, the 18- to 29-year-old voters broke 71 to 29 for O’Rourke over Cruz, according to NBC’s exit poll. “These voters are ready to take a hammer to the political status quo in this state,” Miller said of Texas. Youth turnout was particularly high in states with competitive gubernatorial races such as Florida and Georgia, which were still being sorted out Monday. There was also a spike in youth turnout in states where contentious issues were on the ballot such as campaign finance regulations in Arizona, Medicaid expansion in Montana and Florida's Amendment 4 which restores ex-felons’ voting rights. Despite the record-breaking turnout, NBC News exit polls show that the 18-to-29 year olds' share of all turnout remained at 13 percent — the same as 2014, because high voter turnout was reported across all age groups during the election. The election done, the work for Audelo and others continues ahead of 2020. 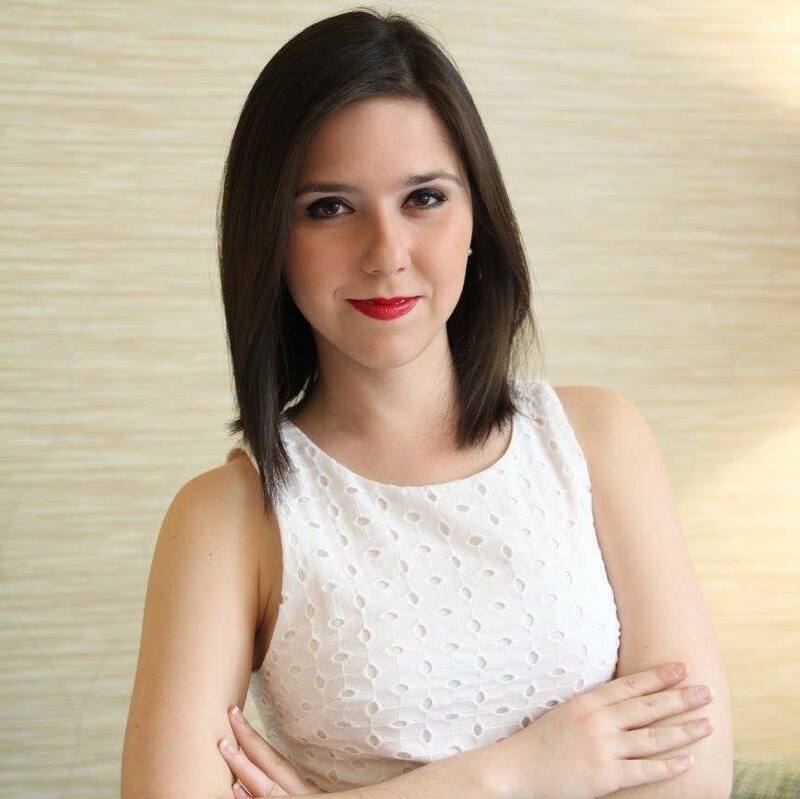 Suzanne Gamboa reported from Austin, Texas, and Nicole Acevedo reported from New York.